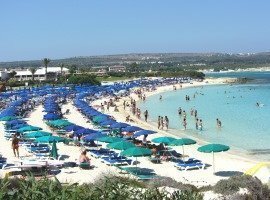 Nissi Beach has fine white sand and lovely clear waters and it is a popular beach in the high season with the younger visitors. 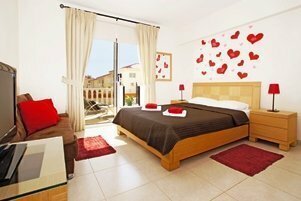 Here can hire sun-loungers, umbrellas and enjoy the sun, sea and sand. 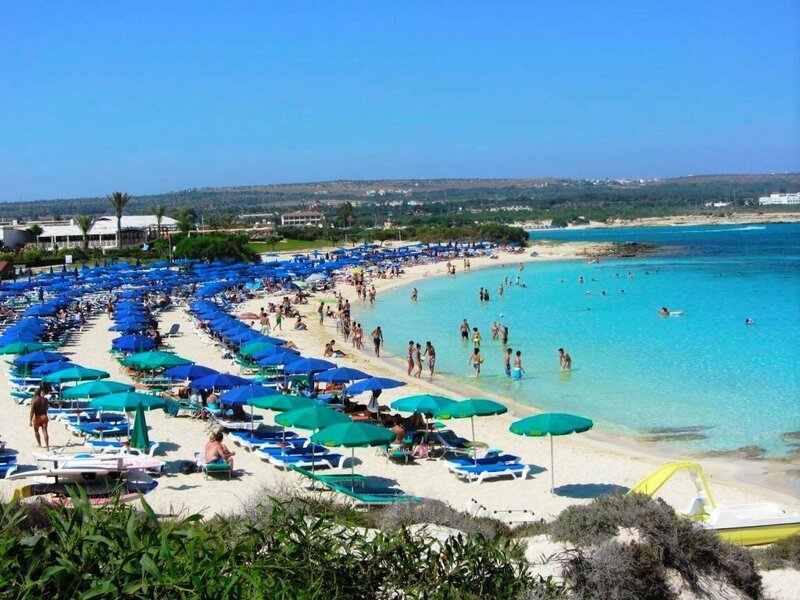 400m west of Nissi Beach area you will find Sandy Bay which is popular with families. 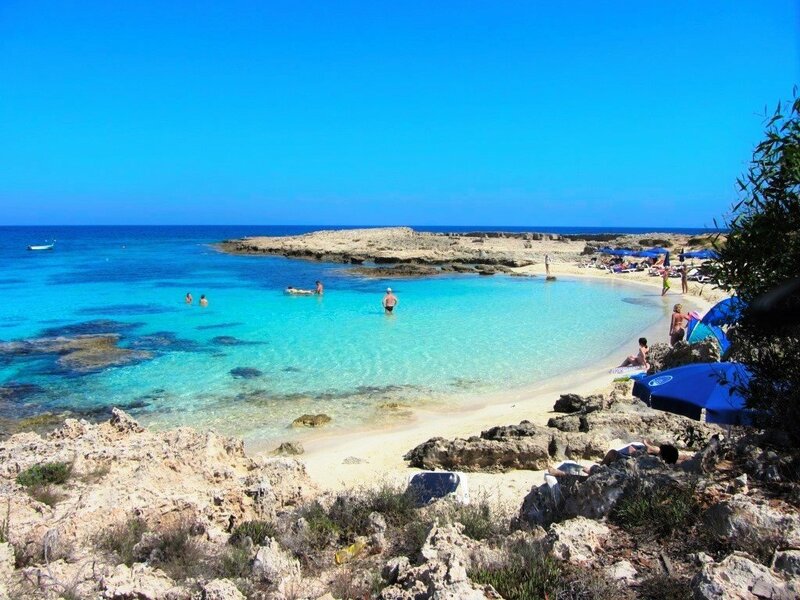 Golden Bay Beach or Landa Beach is located halfway between Nissi Bay Beach and Makronisos Beach. 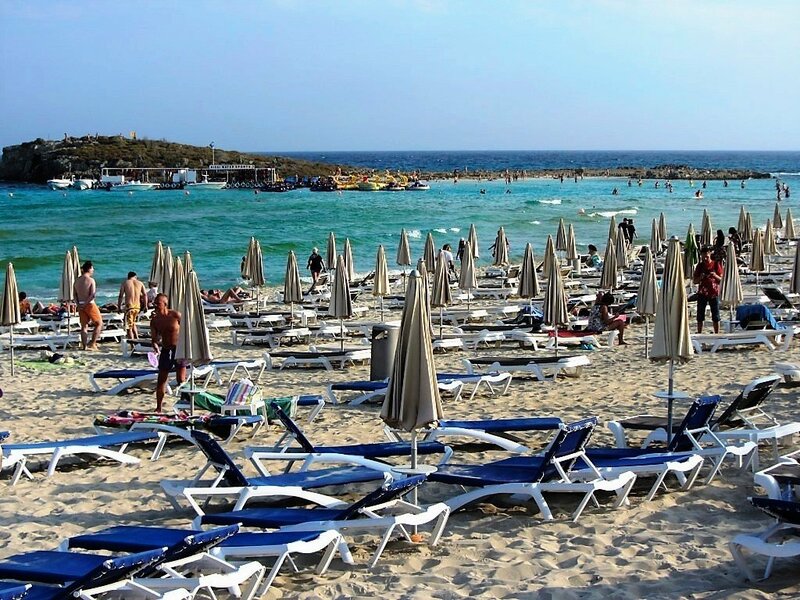 So, if Nissi Beach in Ayia Napa is just too busy to contemplate, head for Landa Beach instead. 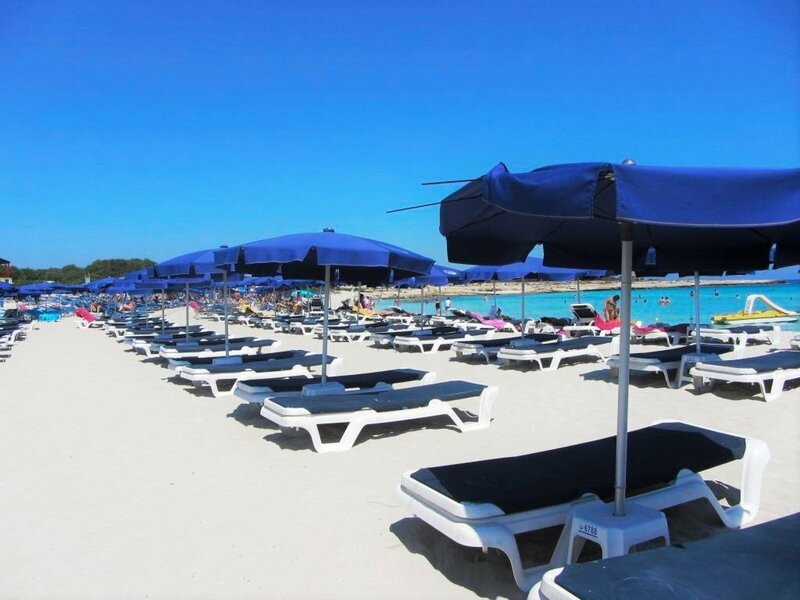 Landa Beach is 400 metres of golden sand and calm seas, a perfect place to chill out and relax after a hard night enjoying Ayia Napa’s nightlife. 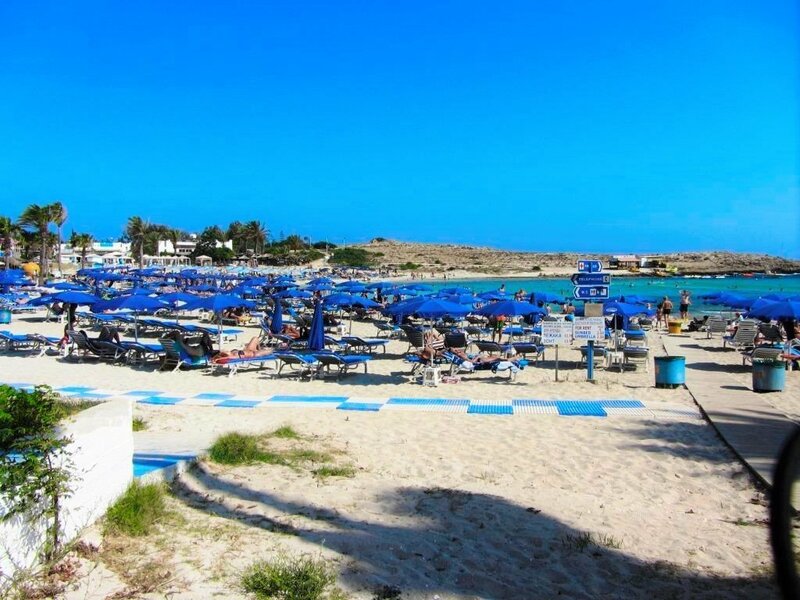 Macronisos Beach is located just off the Nissi Avenue, in Ayia Napa. 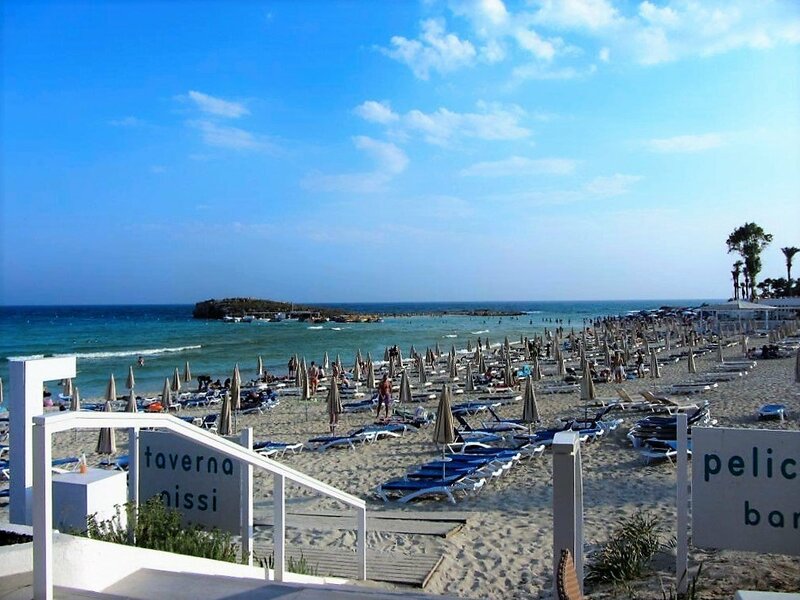 This is a quality, blue flag beach that is formed from a cluster of 3 bays. The sand is wonderfully thick and soft. A tractor with a plough treats the sand at the end of the day. It is a very popular and busy beach with its own diving school, if you fancy some scuba.